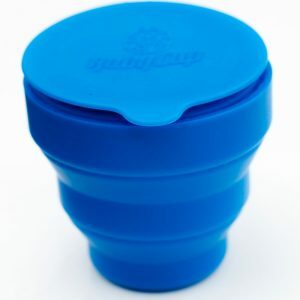 Some people like to have a small cup handy for light days, and the option of using a medium cup on heavy days. With this good value package you get one Ruby Cup of each size. 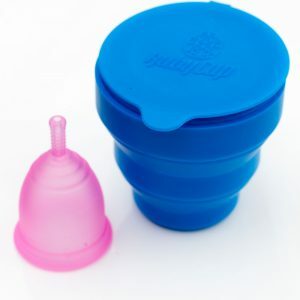 Ruby Cup is a high quality menstrual cup made of 100% soft, smooth medical grade silicone. 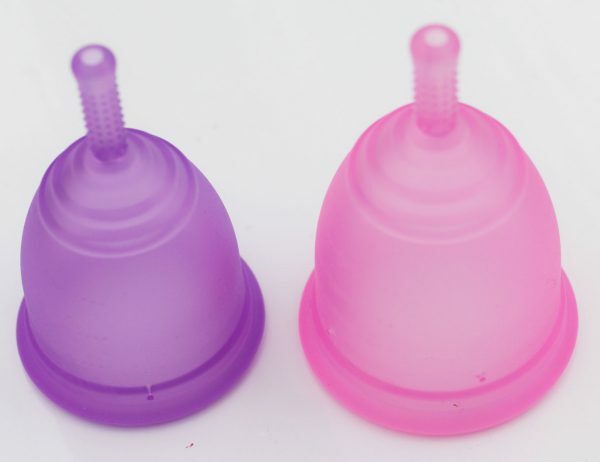 It is hypoallergenic and does not contain harmful additives, latex, rubber or absorbency gels. It comes in two sizes: small and medium. We stock two colours: medium in pink, and small in purple. A Ruby Cup holds up to 3 times as much fluid as a tampon, which means you can wear it for up to 12 hours. 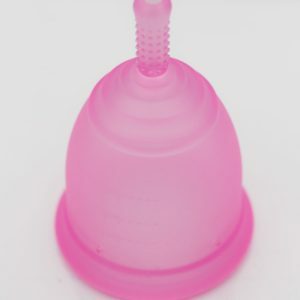 Ruby Cup recommend small for light to medium flow and medium for medium to heavy flow. 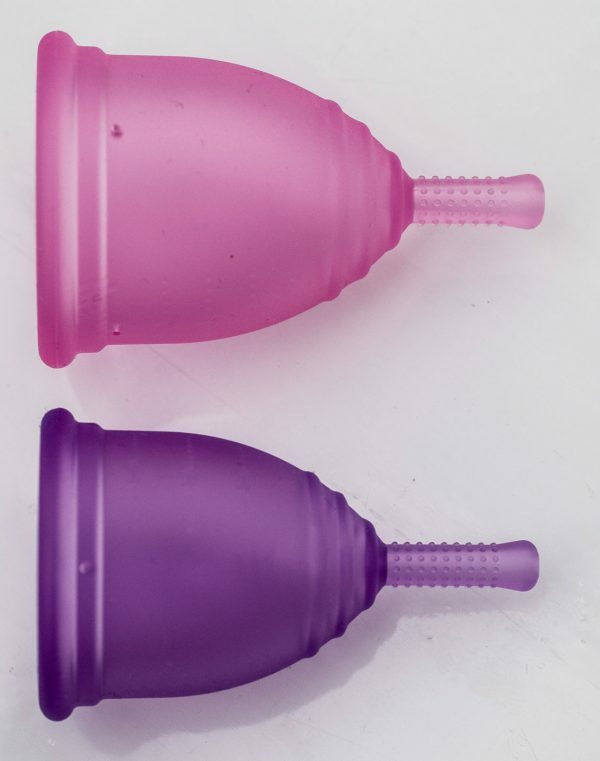 It is possible to use small if you have heavy periods, although you will need to empty it more regularly. Your Ruby Cup comes with an instructions booklet in English, German, Spanish and Danish, and an organic cotton bag for storage in between periods. Buy One, Give Two! For every cup sold, two will be donated women or girls living on low incomes in East Africa or the UK.